The ocean is an integral part of Earth’s climate system. By moving vast amounts of heat from tropical regions to the poles, ocean circulation moderates global temperature extremes, making the planet habitable. The ocean plays a major role in reducing the pace of global warming by absorbing some of the atmospheric CO2 derived from human activities, resulting in ocean acidification. In the Northeast Pacific, we have already observed impacts on fisheries resulting from ocean temperature changes, dissolved oxygen depletion, and acidification. We must monitor ocean change so that decision makers have the information needed to secure a healthy ocean for future generations. Question 1: What are the magnitudes and rates of changes occurring in the Northeast Pacific Ocean? The Pacific Ocean off the southwestern coast of Canada is dynamic. In winter, storm-induced poleward winds drive currents shoreward creating downwelling conditions and episodic storm surges; in summer, prevailing winds reverse and blow equatorward, making the area the northern limit of one of the world’s major upwelling systems —the California Current. The upwelling of deeper waters brings nutrients to the surface, supporting a rich and diverse ecosystem and important fisheries. In the Strait of Georgia, the annual cycle of freshwater input from the Fraser River dominates surface waters, while the deeper waters originate from the continental shelf and are driven by estuarine circulation primarily through Juan de Fuca Strait. Natural climate modes of the El Niño/Southern Oscillation, Pacific Decadal Oscillation, and North Pacific Gyre Oscillation affect ecosystem function by influencing wind patterns, local currents, sea level changes, depth and strength of the thermocline, intensity of upwelling, and availability of nutrients. In the Northeast Pacific Ocean, we are observing changes in the timing, intensity, and chemical properties of upwelled waters, nutrient availability, and primary production. It is anticipated that these changes will accelerate as the climate continues to warm, with cascading effects and implications for multiple facets of the ocean ecosystem. To quantify these changes, Ocean Networks Canada is committed to continuous, long-term recording of temperature, salinity, direction and intensity of water currents, dissolved oxygen distributions, pH, and pCO2 using stationary seafloor sensors. Importantly, Ocean Networks Canada will continue to augment these seafloor measurements with mid-water and surface ocean data from mobile sensor platforms positioned to capture changes in stratification and water mass chemical and biological properties. This will require regular, repeat surveys with gliders and other autonomous underwater vehicles across the continental shelf and in the Strait of Georgia/Saanich Inlet basins that link to cable-supported measurements. Question 2: How will Northeast Pacific Ocean marine ecosystems respond to increasing ocean acidification? Currently, the ocean is absorbing more than one-quarter of the carbon dioxide emitted by human activities, lowering its pH and affecting some organisms’ ability to produce and maintain their calcium carbonate shells. This ocean acidification may be directly affecting the ability of oysters, clams, corals, and calcareous plankton, among other species, to build and maintain shells or skeletons and may be disrupting food webs. 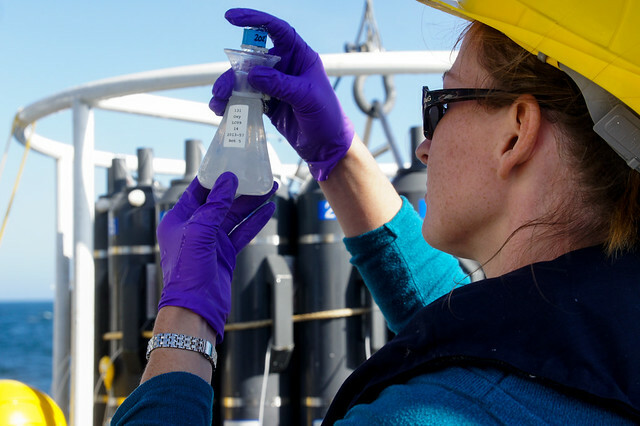 Ocean Networks Canada must develop and implement sensor technology that will accurately measure pH and pCO2 over the long term to quantify their variability and the extent and spatial pattern of acidification in the Northeast Pacific. 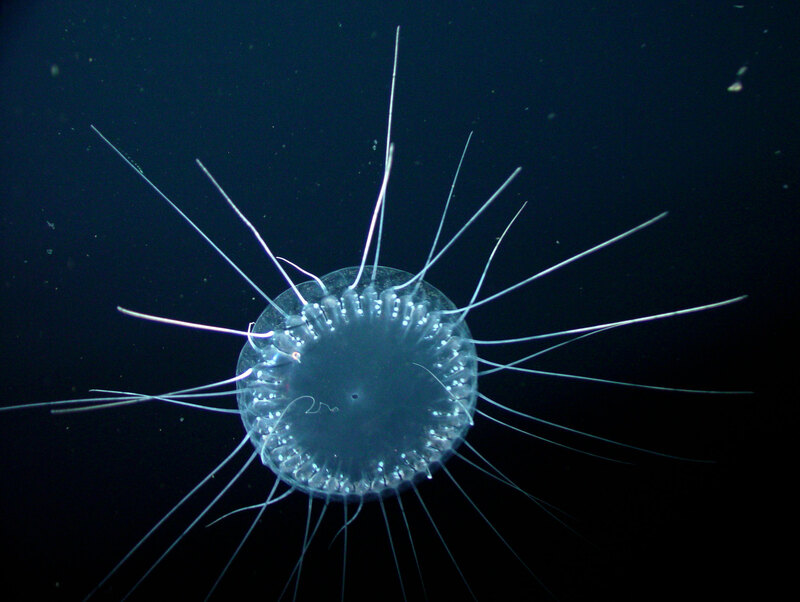 These data, together with studies of phytoplankton and zooplankton community structure and pattern that are currently carried out largely by Fisheries and Oceans Canada, are critical for evaluating whether and how acidification has affected these important planktonic organisms that are food for fish and other species. Ocean Networks Canada will enhance understanding of changes in species composition and distribution, trophic interactions, and, ultimately, ecosystem resilience and productivity by providing automated analyses of biological data from seafloor video cameras and other co-located sensors. Question 3: How does the depletion of oxygen in coastal waters affect ecosystem services? The number of oxygen-depleted zones in the ocean and the severity and extent of hypoxic events are increasing. The Northeast Pacific Ocean has experienced increased sea surface temperatures that have led to reduced oxygen solubility and greater water column stratification. 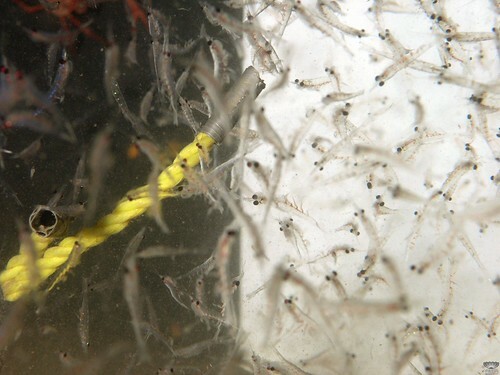 Continuous monitoring of benthic communities by Ocean Networks Canada will provide data to help evaluate how ecosystems respond to long-term changes in oxygen availability. Saanich Inlet, which is naturally anoxic at depth through much of the year, will continue to be a natural laboratory for studying impacts of variations in oxygen concentration on all parts of the ecosystem. Ocean Networks Canada can track potentially harmful intrusions of low-oxygen waters by deploying sensor-equipped gliders, measuring corrosive (low pH) deep-ocean waters by adding new sensors to the cabled observatories, conducting seafloor video surveys with autonomous and remotely operated vehicles, and collecting water-column profiles across oxic-hypoxic-anoxic boundaries. Vertical profilers can be controlled to measure salinity, temperature, currents, dissolved gases, nutrients, plankton, and fish concentrations and marine mammal occurrences several times per day. Benthic platform systems that include video and still cameras, sector scanning sonars, high-resolution current profilers, and sediment traps should be expanded beyond Barkley Canyon, Saanich Inlet, and the Strait of Georgia to capture benthic community changes in different environments. Autonomous moorings are currently monitoring bottom waters in Juan de Fuca Strait. Upwelled waters in the coastal Northeast Pacific Ocean are low in dissolved oxygen and high in pCO2 (low in pH). There is recent evidence that both upwelling intensity and these deleterious water properties are increasing in magnitude. In addition, respiration of organic material and community metabolism remove oxygen from the water and introduce carbon dioxide, further enhancing these anomalies locally. Careful documentation of long-term environmental change by observatories will enable study of the response of ocean ecosystems to changes in multiple stressors (increasing temperature and carbon dioxide and decreasing oxygen and pH).